For residents of Northcote, Victoria, our trusted family cleaning service is the answer to all your home cleaning requirements! We are a team of professional cleaners, dedicated to providing reliable and efficient home services that are sure to knock your socks off! With a highly trained and experienced staff at your service, satisfactory results are a given when you hire Simply Maid! Having serviced homes in several suburbs around Melbourne and other major cities, we are highly recommended by customers across Australia. Our reputation as Melbourne’s most trusted and reliable home cleaning service is one we continue to uphold through tireless efforts and transparent dealings. If you’d like first-hand experience of this, give us a call today! BOOK A NORTHCOTE HOME SERVICE IN JUST 60 SECONDS! We understand the importance of making a good first impression and hence, ensure that new customers are treated to quick, honest and convenient service from the very beginning. This is truly evident with our seamless online booking system that requires just 60 seconds of your time! With a few details provided; your preferred cleaning services selected; and a date and time set; your booking with Simply Maid will be complete! No maid service in Northcote understands your busy, day-to-day schedule quite like we do; therefore, Simply Maid offers flexible timings in order to work at your convenience. Our rates are fixed in accordance with the number of bedrooms and bathrooms to clean; however, we also offer pay-by-the-hour fees (generally selected for one-time cleaning services). Regardless of what your cleaning needs are, you can rest assured that they will be met by our punctual and reliable cleaning team! The importance of your family/home’s safety is not something we take lightly. In order to ensure that you are never at risk, we go the extra mile to filter out cleaners that are not worthy of working for our company. With stringent background checks, cross-checks, interviews and tests, we’ve made sure that only trustworthy, hardworking and efficient cleaners are on board with us here at Simply Maid. What’s more, each member of our cleaning staff is insured and bonded for further security. Rest assured that we will make your experience with us a pleasant and comfortable one from start to finish! Our bubbly and cooperative cleaning staff excels at creating a friendly environment while working in the most efficient manner! Hence, when you hire Simply Maid, you can expect the perfect balance of professionalism and friendliness! 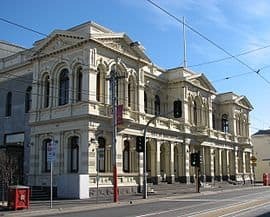 Located 6 kilometres away from Melbourne CBD, Northcote is a rather densely populated suburb with over 24,500 residents. Some of its neighbouring suburbs include Fairfield, Thornbury and Brunswick East. Northcote is typically a laidback, residential suburb with a mix of gorgeous Edwardian houses, old, maintained mansions and hilltop bungalows; however, it has its fair share of parks, shopping strips, cafes and public amenities. While there are a couple of parks and open spaces in Northcote such as Gumbri Park (formerly known as ‘Batman Park) and Johnson Park, the one that tops them all is the ever popular All Nations Park! Located right next to Northcote Plaza Shopping Centre, All Nations Park offers basketball courts, kids play equipment, skating facilities and more. For the best of shopping, dining and cafe hot spots, head to High Street (formerly known as ‘Lower Plenty Road’) and St Georges Road.